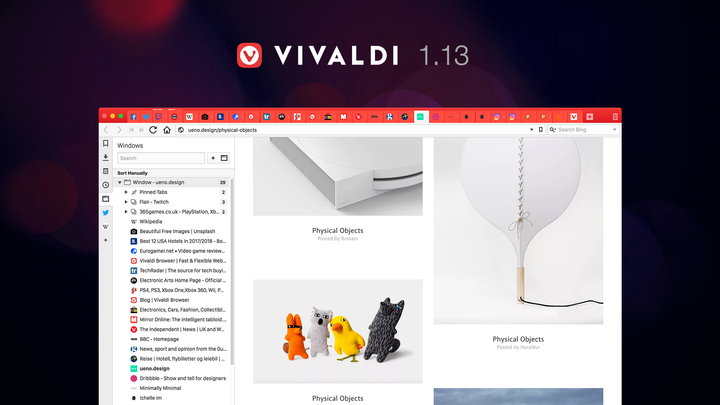 Vivaldi 1.13 introduces the Window Panel that helps manage multiple tabs at once. OSLO, Norway – 22 November, 2017 – Vivaldi, the most feature-rich and customizable browser, makes managing multiple tabs easier with the new Window Panel. Releasing version 1.13 today, Vivaldi also adds new file download features and improves performance. Get an easy overview of all open tabs as a list. Drag tabs to change their order. Group tabs by topic to save space. Tile Tab Stacks to compare several web pages side by side. Hibernate unused tabs or Tab Stacks for better performance. Pin tabs to ensure they always stay open. Mute sound in specific tabs. 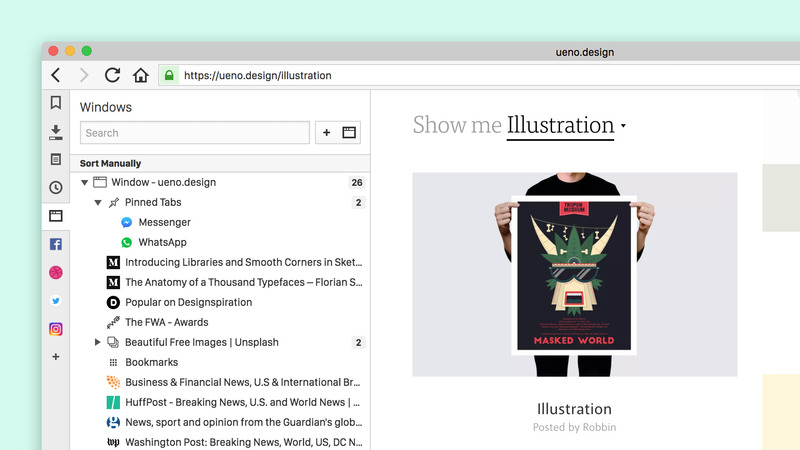 “Vivaldi offers more built-in options for managing tabs than any other modern browser. Users can choose where they want to position the tabs; they can navigate to them via their keyboard; group them and so on. The new Window Panel takes tab management to the next level,” says Jon von Tetzchner, CEO at Vivaldi Technologies. The Window Panel currently works per window. The Vivaldi team is planning to bring even more functionality to this feature in the near future. “The Window Panel is especially useful for those who work with a number of tabs. In addition to this, the list shows all tabs without compacting their size. It is easy to search and sort to find a particular tab,’’ says developer Espen Sand who leads the work on the Window Panel. Warning dialog when closing the browser before a download is complete. Ability to pause and resume downloads. Download speed displayed in the download progress bar. Another addition to Vivaldi 1.13 is the rewrite of the window handling code. Some of the work has been done on the basis of maintenance necessity. However, it also provides performance benefits, especially noticeable on older, slower hardware. While rolling out new differentiating features, the Vivaldi team reiterates its philosophy of going native. 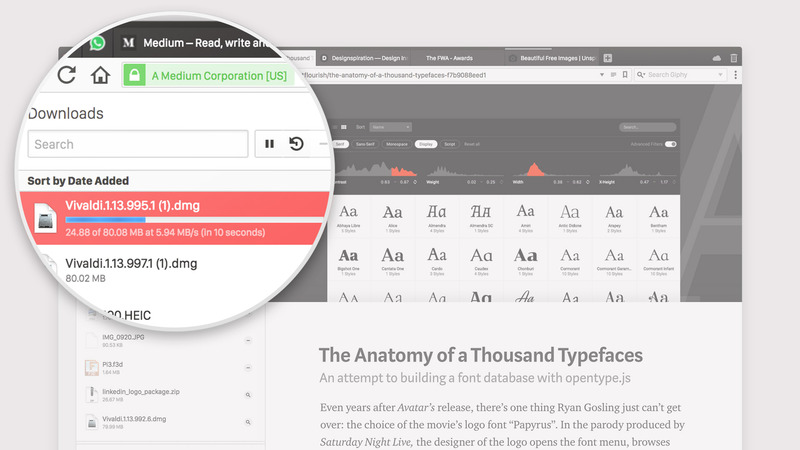 Vivaldi’s signature features like tab grouping, built-in screenshot capture tool, ability to take notes right in the browser, and endless UI customization options already provide seamless control to the users. “We are working hard to give our users a browser that does not rely on add-ons. We aim to develop more and more functionality that is built-in natively into the browser and offers a secure, speedy and complete browsing experience,” says Jon von Tetzchner.